Following up on one of the most beautiful musical revelations of 2012 for Altar Records, Akshan (aka Vincent Grenier) continues to make us dream with his release of “The Rise of Atlantis”. 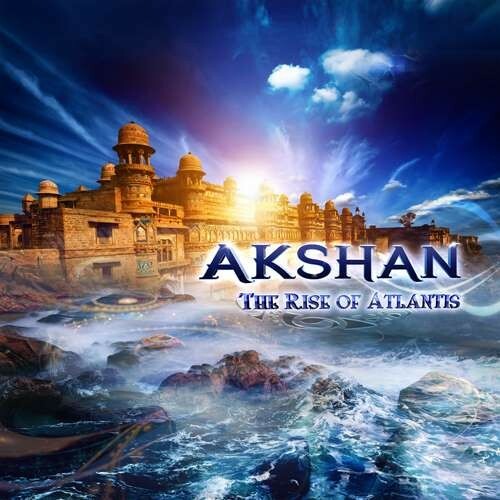 Akshan, a master of his craft, returns to provide us with a very special and unique album, in which he takes us on a phantasmagorical interpretation of the mystical lost civilization of Atlantis. Nine wondrous sonic tales comprised of down tempo and chill-out progressive beats, to which Vincent has added a deep soulful feel, will carry the listener to either introspective dreamtime or out to the dance floor! The only way to know for sure is to listen for yourself and see where this carefully crafted audio journey takes your mind and your body!Just as our “Tree of Life” release, the CD will be presented as a 'Digipack' with a “deluxe” shiny cover and to insert pages. This release will be limited to 500 copies, so please reserve your copy early!